UPDATE: My shipment just arrived at the door, 12:11 PM. I placed my order yesterday morning at 7:58 AM. Yesterday I shopped online for things that I normally buy at Target. Halfway through I thought to myself, "Am I really ordering fabric softener and Ziploc's online?". 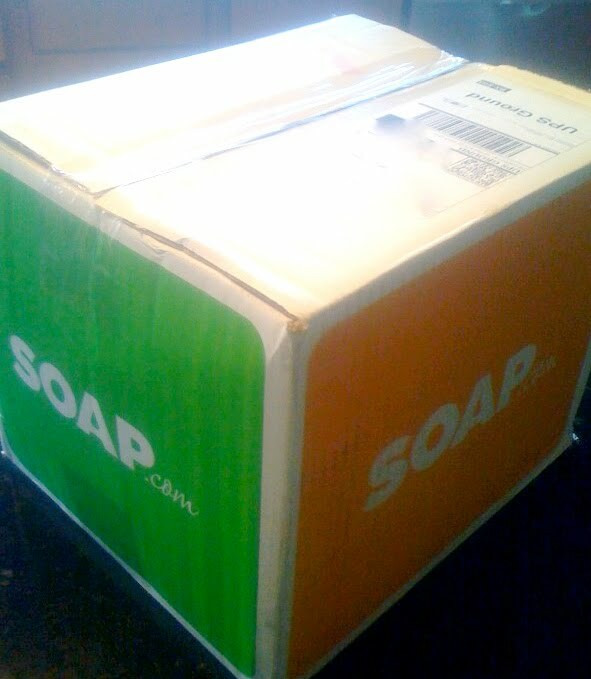 It all seemed a bit strange, but I now think I'm in love with soap.com. I can shop in my pj's and take my time to read the labels. I can run to the linen closet to see if we need toilet paper so I don't over buy. They guarantee that you'll have the items in two days. I placed my order yesterday morning and it's already out for delivery today. Shipping was free and because it was my first order I saved 15% on my entire order. Most of my items were on sale and one item even offered a $1.00 ecoupon, (online coupon). Better yet, I know I saved money because I wasn't tempted with all the extras that I normally pick-up while I'm at Target. And I didn't waste my precious "free" time at Target while both kids were at school. All I need now is for grocery stores to do the same and I'll be set. my be changing my mind soon. and groceries delivered to your door?!! i would consider paying double at times for that service. I've used diapers.com before too, I'm pretty sure that's why I got the email that offered 15% off. I missed out on the 20% offer though, what's up with that!?! FYI, Schnucks delivers. Enjoy your extra free time! cool-I'll have to check that out!! !